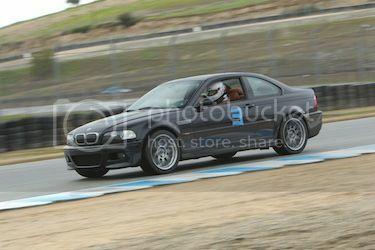 I have an e46 m3 2006 currently on competition wheels, switching to 18inch wheels getting Ray volk ze40. 9.5 on front and 10.0 rear I have a brembo 6 piston on the front and 4 piston in the rear. The current rear competition wheel with 9.5 width and 25 offset fits the breaks in the rear. The front wheels don't and I have to use 18mm spacers. What offset set up should I get. FY: I have camber plates and the car is on KW coil over kit. ...thoughts on perfect offset set ups? Re: Picking the right offset for 18inch wheel set up. 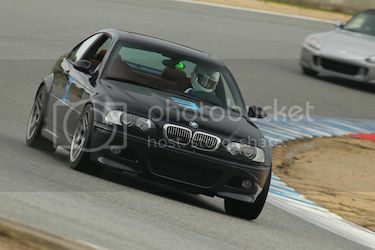 Shouldn't have a problem clearing the brakes at all, Competition wheels are 8.0" wide with 47 offset. So the added width of your wheels + the larger offset will be alright. Personal preference 9.5 is too aggressive up front but a lot of people really like it and its very popular. Yeah you'll be fine on brake clearance. I agree with the above post though, for a staggered setup I would run 10" width rears and 9" fronts or 9.5" rears and 8.5" front. Or just do a square setup and run 9.5" all around. ZE40's are not available in those offsets and no 10" size. You can't custom spec them unless you buy something like 10 sets. If you go to japanesewheels.com you can order the ze 40's in different sizes and offsets. Would a 9.0 with 22 offset fit a 355mm 6 piston break kit with out spacer? sorry that was driving me crazy. I generally go to Apex Wheels' website and see what they produce and try to match that. They've done all the hard work finding the right offsets, determining which tires will fit on stock vs. modified suspension, etc. BBK clearance is more about the wheel design vs. offset. google the site. sounds (and looks) scammy. All times are GMT. The time now is 12:04:11 AM.